The Water Festival is an educational festival designed to celebrate our local watershed. 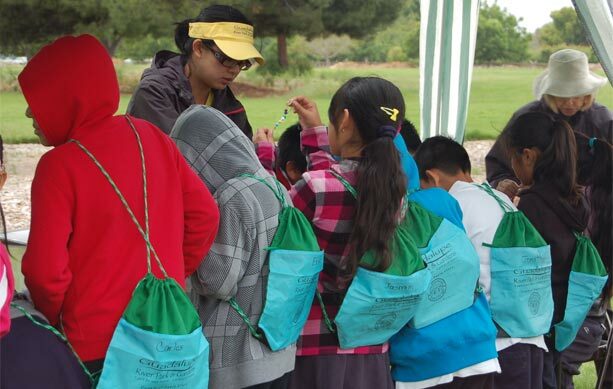 Every year, environmental education organizations from around the Bay Area come together at Guadalupe River Park & Gardens to teach local students important hands-on science lessons based on topics such as water conservation, pollution prevention, the value of water as a natural resource, and how people can affect their watershed. Formerly the Water Wizard Festival, the event has drawn 300 students and their teachers annually to the park. Equipment support provided by the City of San José Environmental Services Department. If you are interested in participating as a presenter in future Water Festivals, please contact the Festival Coordinator. Thanks for your interest in the Water Festival! If you would like more information regarding future Water Festivals, please contact the Festival Coordinator.